Not all sequels have to be about horror movie monsters and superheroes. Sometimes, even a hotel that caters to senior citizens gets a second chance on the big screen. 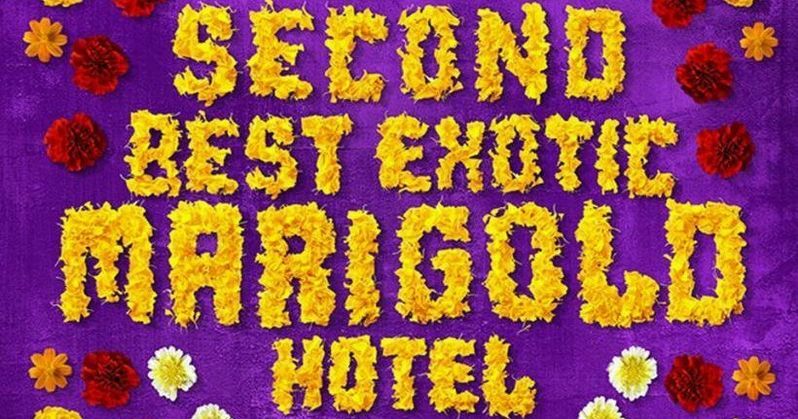 The Second Best Exotic Marigold Hotel is a follow-up to 2012's The Best Exotic Marigold Hotel, which finds Sonny (Dev Patel) attempting to franchise out his hotel, which caters to the 'elderly and beautiful'. The original location only has one remaining vacancy, which causes a problem for new tenants played by Tamsin Greig and Richard Gere, neither of whom are old enough to be staying here, though maybe a little too beautiful. Check it out as Bill Nighy, Maggie Smith and Judi Dench also return for another stay at the Best Exotic Marigold. The Second Best Exotic Marigold Hotel is the expansionist dream of Sonny (Dev Patel), and it's making more claims on his time than he has available, considering his imminent marriage to the love of his life, Sunaina (Tena Desae). Sonny has his eye on a promising property now that his first venture, The Best Exotic Marigold Hotel for the Elderly and Beautiful, has only a single remaining vacancy - posing a rooming predicament for fresh arrivals Guy (Richard Gere) and Lavinia (Tamsin Greig). Evelyn and Douglas (Judi Dench and Bill Nighy) have now joined the Jaipur workforce, and are wondering where their regular dates for Chilla pancakes will lead, while Norman and Carol (Ronald Pickup and Diana Hardcastle) are negotiating the tricky waters of an exclusive relationship, as Madge (Celia Imrie) juggles two eligible and very wealthy suitors. Perhaps the only one who may know the answers is newly installed co-manager of the hotel, Muriel (Maggie Smith), the keeper of everyone's secrets. As the demands of a traditional Indian wedding threaten to engulf them all, an unexpected way forward presents itself.